When paying all employees within a pay group don’t laboriously go through your employee list and tick each one! Instead group the employees by, for example, dragging the pay group field (see below) to the area above the employee list and then simply tick the one box at the head of the group. This will automatically tick all employees in that pay group. Similarly, if you were paying only employees in a specific location or department then you can achieve the same thing by doing the relevant groupings. Employers across Australia will have new superannuation obligations under a range of reforms. • begin making superannuation guarantee payments for employees aged 70 years or older. In relation to the reporting of superannuation on the payslips which is meant to come into effect from 1 July 2013, the regulations for this legislation have not yet been finalised. The last update we received was on 23 February 2013 and that was to advise there was no update! It is unlikely that the new payslip reporting will commence from 1 July 2013 but there is still a possibility. It’s probably also a good time to subscribe to our new product blog as we will use that to provide updates between SybizFlash editions. A Data Connection holds the relevant connection information to connect to a supported ODBC or OLEDB compliant data source. This data connection object is then used for all connections to this data source. By adding a data connection the Connector can make data available from this data source. To add a new data connection, double-click on the Enterprise object and select the relevant connection type (driver) to use for the connection, by clicking on it in the object window. Right select and select Add Connection. In the Connection Name field, type the name of your connection. 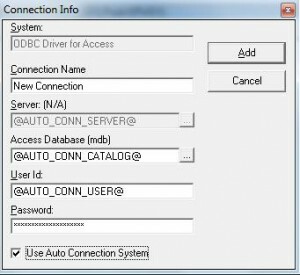 NOTE: Depending on the connection type of the connection being created, certain values will need to be entered to specify how the data is accessed (some connection types will allow you to browse for data using the buttons to the right of the text boxes). Where paths or folder names are required for creating a Data Connection always use the Universal Naming Convention as opposed to using drive mappings. For example \\Servername\c\mydata\ as opposed to X:\mydata where X is a mapped drive to \\Servername\c\. This will ensure that reports against this Data Connection can be run from any workstation regardless of drive mappings. 7. Once you have done a Check/Test on the Connection you can now add the Containers to the Connection. When it comes to software, there is a lot of jargon floating around. This week, Sybiz’s Ben O’Brien and Peter Whalley explain the difference between the terms ‘upgrades and service releases’ as well as some other details surrounding these terms! Click here to access both the blog and the video. Earlier in the year we wrote to inform you that Payment Adviser (who have become ClickSuper Pty Ltd) would be taking over the provision of the ClickSuper service from Cuscal Ltd towards the end of March. This handover was pushed back a few weeks and is now scheduled for Monday 15 April 2013. Existing users will notice little or no change in the way the service operates, with files transferred seamlessly through Attaché Alex and payments scheduled on the ClickSuper website as usual. Hopefully, the real change for these users will be in the quality and responsiveness of the support services, which have now been moved to Payment Adviser’s team of superannuation experts. For new users, however, there is a significant change in the registration and onboarding process. They will no longer register via an Attaché branded web page. Rather they will use the standard ClickSuper registration process and will be asked to enter a special promotion code (ATTAU1) on the page to identify themselves as Attaché Payroll users. At this time they will also complete their Direct Debit details. As well, ClickSuper will no longer provide users with the unique unlock code required to activate uploads in Attaché Payroll or the data cleansing service. Both services will now be provided by the Attaché ClickSuper Support Team. We will shortly update the Superannuation with Attaché Payroll User Guide, Appendix 4 — Getting started with ClickSuper, to detail the new registration process. It is our understanding that all registrations that were initiated or completed in the last two weeks will be suspended and will have to be re-done from Monday 15 April. If you are aware of any user who registered or attempted to register in the past two weeks, please advise them to contact ClickSuper directly on 1300 834 535 and clarify their status. During the transition, the Attaché ClickSuper Support Team will be available to offer support and advice on registration, unlocking Attaché Payroll for ClickSuper and data cleansing. Please contact the team on 02 9455 1391 or email support@attachesoftware.com if you have any questions. Q: I’m tired of processing employee leave requests! Is there a paperless solution in Sybiz Visipay? A: In Sybiz Visipay 12.00 we have introduced a new Leave Management module which allows employees to log in to Sybiz Visipay and submit their own leave requests, ready for approval. No paper required. Q: I need to reprint 3 months of invoices for a customer, is there an easy way other than printing each invoice individually? A: Yes there is! 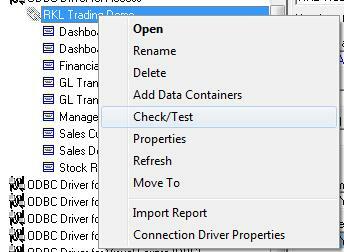 Go to the Utilities menu and select the Document Finder & Batch Printer. Hey! Get paid by the government to pay others! Did you know that you can now receive funding from the Australian Government to pay for a member of your team to be trained in payroll administration? Read the full article on our blog here. In this bulletin we are pleased to announce the release of Attaché Accounts and Attaché Payroll version 1.09. This release primarily contains legislative changes to Attaché Payroll for the New Zealand 2013/14 financial year and for Fiji. Attaché Accounts and Attaché Payroll version 1.09, which includes mainly legislative changes for the 2013/14 financial year, is now available to download. •	New Zealand payroll tax scales for 2013/14, including updated ACC earners levy cut-off; increase in the Student Loan repayment rate; abolition of the Main Income Low tax scale. •	New Disk File Entry format for New Zealand to cover Days Worked, Extra Pay Rate and Child Support Variation Code. •	Change to leave consolidation for New Zealand. If you use Attaché Payroll to pay New Zealand employees, you should upgrade to version 1.09 after completing end-of-year reconciliation and prior to processing the first pay of the new financial year. – Read more about the changes to Attaché Payroll related to the new financial year on the Attaché Members website. – Download Attaché Accounts and Attaché Payroll version 1.09.000 from the Attaché Members website or talk to your Attaché Consultant. Your Attaché Consultant is available to help with your end-of-year (EOY) processing. If you attend our EOY training you’ll also receive complimentary EOY Guides and Checklists. For those who cannot attend, these guides are available to purchase – contact us to find out more. The Inland Revenue website includes information and resources for preparing for the new financial year, including a summary page with a link to a handy checklist. In addition, the EOY NZ 2012/13 page on the Attaché Members website provides details of the legislative changes addressed in Attaché Payroll version 1.09. If you use Attaché Payroll to pay Fiji employees, you should upgrade to version 1.09 as it includes the new Employer Monthly Schedule (EMS) file required by the Fiji Revenue and Customs Authority (FRCA) from the beginning of 2013. This version has gained a Certificate of Accreditation from the FRCA which acknowledges that Attaché Payroll can output the required EMS report and file. – Download Attaché Accounts and Attaché Payroll version 1.09 from the Attaché Members website or talk to your Attaché Consultant. – Read about all the enhancements in the Attaché Accounts and Attaché Payroll version 1.09 Release Notes available from the Attaché Members website. Sybiz Vision – Do you use Job Costing functionality?